The English Language Teaching Unit offers a wide range of English Language and Study Skills courses to students who are studying at, or who want to study at, the University of Leicester. For students who do not yet qualify for a professional course. Also for students who do not intend to go to university, but who want to improve their English in a UK university environment. Our range of exam preparation classes help you to improve your English language level and prepare for an internationally recognised English language qualification. For students who want to start an undergraduate or postgraduate course at university, but first need to improve their level of English. 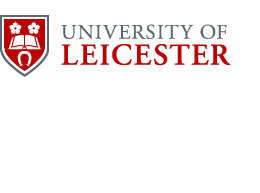 The University of Leicester offers two exciting summer schools aimed at improving English levels and giving an introduction to life in the UK. A three week course, focusing on the discovery of British culture and the development of general English skills. A three week course aimed at medical students and professionals, designed to improve both general and medical-specific English.